Would Chris Pratt participate in a Parks and Recreation revival? Does it count as a revival if it’s only been off the air for like three years? Is hooking up with one of your roommates always bad? I am here to answer one of these questions. Last month, Parks and Recreation stars Amy Poehler and Nick Offerman floated the idea of bringing back the Emmy-nominated sitcom, which ran for seven seasons between 2009 and 2015, à la Will & Grace, Fuller House, and Canceledanne. Chris Pratt, Jezebel’s canon fourth-tier famous Chris, was asked about his interest in doing said hypothetical revival while on the red carpet for Jurassic World: Fallen Kingdom’s L.A. premiere Wednesday night. He said he’d “love” to, if he’s around. And there you have it, the answer to all (one) of your (my) questions. 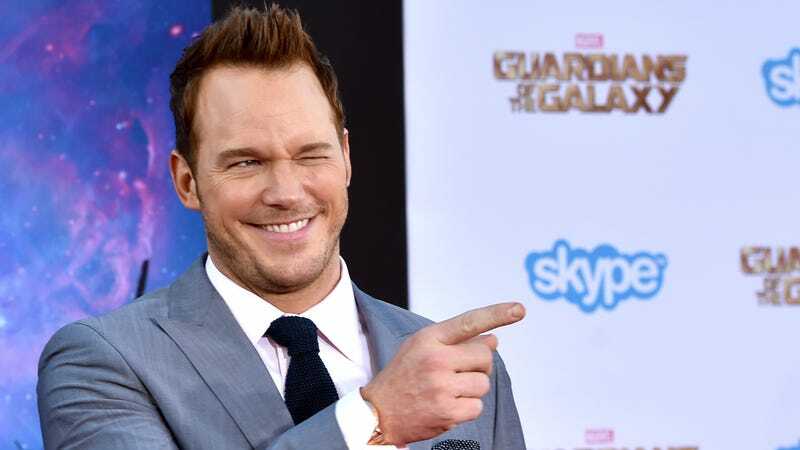 Chris Pratt would participate in a Parks and Recreation revival.